What are my most disastrous makes, what sort of entertainment do I enjoy while sewing (clue; not exactly Ted talks) and why is ripping seams such a painful experience for me? Those and many more questions is answered by yours truly in my Seamstress Tag video. For those who are not familiar with The Seamstress Tag, it’s a sewing community tag created by Holly Sews in which sewing folks are tagged and answer a set of 10 questions. Mostly sewing vloggers I think, but bloggers are also catching on. No one tagged me, but I got some comments on YouTube wondering if I had planned to participate so I just threw caution in the wind and tagged along, so to speak. I won’t tag folks either, but if you feel so inclined it’s a fun Q&A that can just as easily be answered in a blog format. I love Q&A:s with folks I follow online! Just search for the The Seamstress tag and you’ll find lots of participants. One a side note, I’m gonna give the weekly sewing video thingie a serious try now. I feel weary even writing this, because I’m not sure I can commit, but I’m working on a format with shorter vlog style videos that doesn’t require as much post production. But I love the editing process so much and talking English fluently is still a struggle, so it feels hard for me to cut down on the editing time (plus there lives a little perfectionist inside of me!). We’ll see how it goes! This was a great video. Like I mentioned before I’ve actually followed your blog for a long time now and it’s always wonderful to get to know a bit more about more about the bloggers I follow and who’s work I admire. You were candid, which is helpful – it’s always encouraging to know that I’m not the only one who’s garments don’t always turn out perfect every time. It was great watching. Thank you for your very kind comment! I’m glad you mention being candid, it’s so easy to think when we look at all the pretty pictures of garments, that everyone else has it all figured it out and that they never end up with duds. That’s why I find it comforting to hear that you too, whose work I admire, also don’t always end up with perfect either. 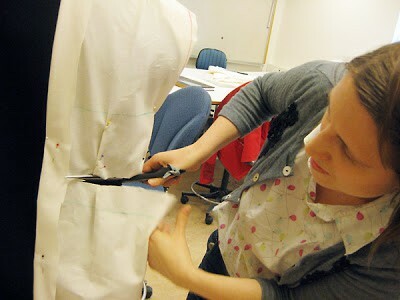 Plus we keep raising the bar as sewists, which means that we are always learning new stuff and no project is alike. So, yes stuff happen!